Can I Play Cash4Life Online? Read Reviews! 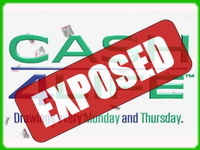 NJ Lottery Cash4Life Exposed: Win the Jackpot, Get Paid Each Day for the Rest of Your Life! Raise your hand if you want to get 1,000 dollars per day for the rest of your life! Are you saying that you’d fancy such an opportunity? We thought so and this is the main reason why we’d like to present an intriguing lottery. It comes from New Jersey and it’s called Cash4Life. The name of the lottery is pretty self-explanatory. If you get the correct numerical combination, you’ll receive 1,000 dollars per day for the rest of your life. Sounds pretty impressive! Yet, we’re getting ahead of ourselves. Let’s take a more detailed look at what Cash4Life is all about and whether it’s the lottery for you. As already mentioned, Cash4Life was launched in New Jersey in the summer of 2014. Currently, the game is available in five additional states – Pennsylvania, Virginia, Tennessee and Maryland. Cash4Life is somewhat different from other lotteries out there because it features a non-progressive jackpot. This means that if the game doesn’t have a winner during a particular drawing, the jackpot for the next drawing isn’t going to increase. The highest price is constant and lucrative enough to make so many individuals give Cash4Life a try. Cash4Life is completely legitimate and safe to play. The game is operated by the official New Jersey lottery – an entity responsible for various other fun opportunities. Some of the other lotteries operated by the same organization include Pick3, Pick4, New Jersey Powerball, New Jersey Mega Millions and a selection of instant games. Playing Cash4Life is safe and you’ll be paid the prize. There’s no reason to hesitate – give this fun opportunity a try. To win 1,000 dollars per day for the rest of your life, you’ll need to get 5 numbers in the range from 1 to 60 correct. You’ll also have to choose a Cash Ball in the range of 1 to 4. People that have all 6 numbers correct will win the top prize. Players can either submit their own numbers or get a ticket that features a random selection generated by a computer. The price of a single entry is 2 dollars. When filling out the ticket, players will also have to choose how they’d like to be paid in the case of winning the first or second prize. There are two possibilities – annuity and cash payments. We’ll explore both options in the next section of the article. Cash4Life drawings take place at the New Jersey Lottery Headquarters studio on Monday and Thursday (9pm Eastern Time). An independent public accounting company monitors the drawing to make sure that it’s fair. We’ve already talked briefly about the top prize, but Cash4Life gives players several additional opportunities to win money. For a start, the top prize is 1,000 dollars per day for the rest of your life. These can be handed out in the form of a lump sum or in annuity payments. The lottery’s official website features the cash value for the first and second prize, if the player chooses a lump sum payment. Keep in mind that if cash payment is chosen and specified on the winning ticket, the player can’t change their mind about how they want to receive the money. A player that has chosen annuity payments can switch to a cash payment upon winning. The jackpot prize is handed out for the winner’s Measuring Life or for a period of 20 years – whichever is longer. The odds of winning the Cash4Life jackpot are 1 in 21,846,048. The second prize is 1,000 dollars per week for the rest of the winner’s life. The odds of getting the second prize are 1 in 7,282,016. If there are between 2 and 14 winners, the amount will be split between all of the individuals. Having more than 15 second prize tier winners means that the amount will be split between all and handed in the form of a lump sum. The third prize is 2,500 dollars, the fourth one – 500 dollars and the fifth prize tier is 100 dollars. There are a couple of smaller prizes, as well. All prizes that exceed 5,000 dollars are the subject of a federal withholding tax. There’s also a gross income tax for prizes exceeding 10,000 dollars. Players have one year from the date of the drawing to claim their prize. Cash4Life is a fun game and many people living outside New Jersey have an interest in purchasing tickets. The big question is whether ticket purchases can take place online. Several of the big online lottery agents gave Cash4Life ticket purchasing services. These are open to players from all parts of the world. If you’re an international player, you can buy through these platforms. They have local representatives that will be responsible for buying tickets on your behalf. Anyone who’s buying US lottery tickets from another country should examine local taxation rules and regulations. Apart from the fact that the prize will be subjected to several taxes in the US, it’s possible to come across double taxation. A conversation with an attorney will shed some light on the options. Would you mind rating Cash4Life? Cash4Life is a lot of fun and the promise of receiving money every day for the rest of your life makes it quite different from other lotteries. The ticket price is relatively low – another feature that makes Cash4Life worth a try. Cash4Life is legitimate, the rules are easy to understand and the lottery’s moneymaking potential is huge. Is it the right one for you? We don’t know. The best way to figure out involves buying a ticket and exploring the thrills of the game on your own. How Much Does It Cost to Play Cash4Life Online? Always wanted to get $1,000 per day just like that. In New Jersey ticket costs only $2. The worst thing is to choose between 60 numbers, this makes the odds pretty tough. Anyway, I never miss the opportunity to buy a couple of tickets.